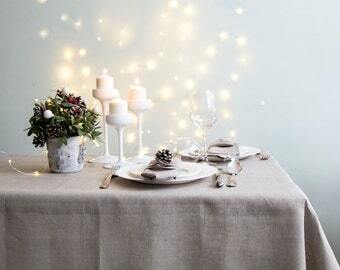 White striped tablecloth made of natural and stone washed natural linen. 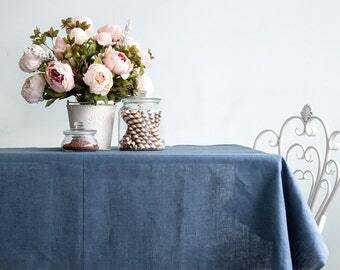 A gorgeous and luxurious pure linen tablecloth in elegant grey for relaxed and cozy mealtimes. 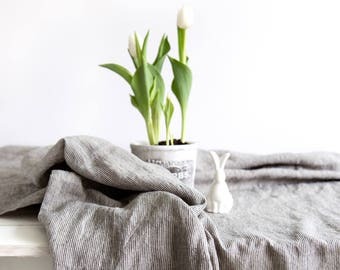 Prewashed during the production process to make it extremely soft. Perfect for lazy informal occasions. 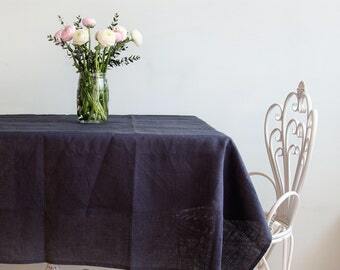 This listing is for one natural linen tablecloth.